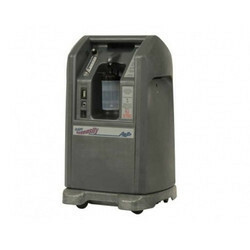 Equipment Rental of a wide range of products which include oxygen machine everflo philips, oxygen machine platinum 9 invacare, oxygen machine 10 liter intensity - airsef and oxygen machine oxytec pro. 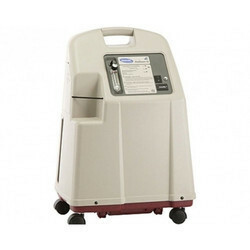 Until now, oxygen concentrators have been very similar - heavy, bulky, noisy, or requiring frequent maintenance. EverFlo from Respironics is a unique stationary concentrator that delivers what homecare providers want and patients deserve.EverFlo is significantly lighter, quieter, and more energy efficient than its predecessor. These improvements include reductions of weight (40%),energy usage (24%), and packaging (15%). Device operation above or outside of the specified voltage, LPM, temperature, humidity, and/or altitude values may decrease oxygen concentration levels. 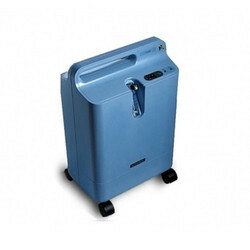 An oxygen concentrator is a medical device used to deliver oxygen to those who require it.People may require it if they have a condition that causes or results in low levels of oxygen in their blood. 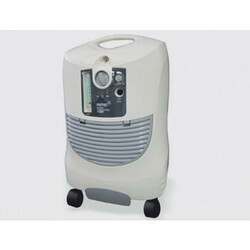 An oxygen concentrator has a compressing element, but it should not be confused with compressed oxygen or an oxygen tank. Whereas a tank has a set amount of oxygen that it dispenses, a concentrator filters in air, compresses it, and delivers air continuously. The air supply will never run out. Instead of refilling compressed air, the concentrator just needs access to power. Oxygen is free but just like gold can be very hard to find. The most efficient and economical way to get enough oxygen is in the way we breathe.It is adviced to learn to breathe better, eat more live enzyme, nutrient and oxygen-rich foods and exercise moderately without excessive straining, gasping or breath heaving. Can be used without air conditioning. Front panel indicators for easy understanding of machine status.